New York Dermatologist Dr. Michele Green shares about her background in the cosmetic field, the way she runs her office, and the devices she uses in her practice. Brief Bio: Dr. Michele S. Green is a board-certified dermatologist based in NYC. 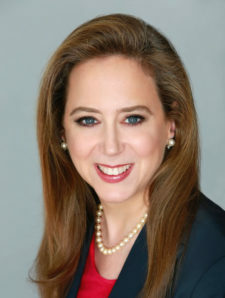 She is a graduate from Yale University, with an MD from Mount Sinai Medical School in NYC, and has since opened her own private practice on the Upper East Side of Manhattan, and treats both medical and cosmetic dermatology patients with an emphasis on anti-aging and skin cancer prevention. How did you get started in cosmetic dermatology? The transition from dermatology into cosmetic dermatology began when working for global skin care brands such as L’Oreal, Johnson and Johnson, Bioré® and RoC® on the research, development, and safety testing of worldwide product launches. This background in skin care and cosmeceuticals encouraged my love of cosmetic dermatology and cosmetic procedures to rejuevate the skin such as Fraxel and Thermage lasers and cosmetic injections such as Botox and Juvederm. Over the years, I have provided expert advice in various magazines and TV shows. In addition to that, I have also published many articles on topics ranging from skin cancer to dermal fillers in professional journals including The Journal of American Academy of Dermatology and Cosmetic Dermatology. The overall knowledge over the years in this sector helped me develop a specialty line of skin care products called MGSKINLABS. Our practice is an independent one and I work directly with all private patients. We have a team of people who work with me, from the front desk who are trained to answer consultations to medical assistants and nurses who assist in all aspects of these cosmetic treatments from Coolsculpting to Thermage. Our patient population ranges from local patients to inquiries from all around Asia and Europe. For example, due to our presence online, we are starting to get some inquiries and patients visiting from the UK and China. To you, how supplementary is having staff in the practice? Your staff is a team and it is important that every member of the team knows how valuable they are in contributing to the overall comfort for the patients results, and medical information. We are very much interested in lasers and devices, can you tell us what you have in your office? I use a range of laser treatments for skin rejuvenation and skin tightening. Popular laser treatment requests include Thermage for facial skin tightening, V-Beam, Fraxel dual laser and its “mini-fraxel” counterpart, the Clear+Brilliant, or eMatrix which helps produce new collagen and rejuvenate the skin’s appearance. I utilize the BBL laser which is my favorite IPL laser because of the ST skin tightening handpiece. While all new technologies and developments are of interest, we are very specific with picking the ones that we use for each condition and do not have all laser based options. For new patients, most of our outreach is via search marketing and cosmetic medical based sites. We also use Search Marketing to reach new patients via a range of key terms that we want to target and we work with someone who analyzes all the data across search and all other digital channels so that we know the return on investment in each. Off line, the aim is to build more of our brand visibility based on our reputation, such as being named a best doctor by Castle Connolly and Superdoctors. Which of the many cosmetic treatments in the market are the most popular in your practice? The profitable ones tend to be the more popular ones, the ones that do a good job of promoting their own brand online and offline are the ones people are talking about and thus looking for. For example, CoolSculpting is very popular these days and more and more people are familiar with this. On the other hand, regulation can be an issue for some treatments, for instance Botox and other dermal injections are not as well-regulated as they should be, and so many underqualified people are offering these for a lower price. While there is a lot of risk to that, many patients base their decision on price and this has made it hard to compete at times since unskilled and untrained individuals are allowed to do these same injections. Can you tell us any anecdotes in your years as a practicing dermatologist? While I cannot disclose patient information, it is very satisfying to treat someone who thinks that their acne and scars will “never get better”. Recently I completed a series of laser treatments on a young girl who came into my office in tears because of the terrible redness and scars from her acne. She was beyond despair. Now, after several months of lasers and dermal fillers, her skin is nearly flawless and she is so happy and beautiful that it makes me so thrilled to have been her treating doctor. What pearls can you share to fellow physicians? While my situation may not apply to all physicians, for those looking to create an independent practice, it is important to stay involved and be hands on, connecting with all your patients where possible. They all want to know how the procedure works, what it entails and a realistic overview of what the next steps may be. Trends (and patients) always change, and so being aware of such trends in the market overall can help explain why certain questions occur more than others. Dr. Michele Green is devoted to providing a world-class experience for each and every one of her dermatology patients in a comfortable and relaxed setting. Dr. Green designed her unique MGSKINLABS product line to complement her facial rejuvenating procedures such as Clear & Brilliant, and Fraxel, which she performs daily in her office. Dr. Green is an expert in Asian and Mediterranean skin and offers the latest technology designed for darker skin tones. The personal connection she builds with patients helps her to provide a superior level of analysis and care to create beautiful skin. Dr. Michele Green knows that her patients want subtle, non-invasive treatments that reveal their natural beauty. She is eager to discuss how these treatments can help you achieve a flawless complexion. Ultimately, her biggest goal is to help all patients feel comfortable in their own skin.